Quality professional learning. Improving student outcomes. James brings his personal and practical experience as a middle school leader to all his training. 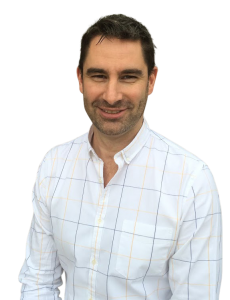 James is a Certified Professional Speaker, an internationally recognized qualification awarded through Professional Speakers Australia. He is one of only around 100 speakers in Australia to receive this award. More than 15 years international experience in teacher training and consulting in school change. Regular face to face workshops covering all aspects of Growth Mindsets and Habits of Mind. Effective school based training tailored to your individual school needs. Term 2 Workshop Dates Released – registrations now open! Join me at my two new workshops – The Growth Mindset Toolkit and Creating Better Learners with Habits of Mind – in May and June. I will be sharing the latest research and thinking to provide teachers with practical, powerful ways we can create better learners and improve students’ learning outcomes. Click below for more information, including locations and dates! Professor Art Costa and Dr Bena Kallick describe the dispositions that are skilfully and mindfully employed but characteristically successful people, when confronted by problems, the solutions to which are not immediately apparent. James Anderson shows you how to effectively and powerfully translate this work in your school and classroom. Drawing on his own classroom experiences, as well as 15 years of learning with and from schools around the world, James is an expert at helping you translate the Habits of Mind into classroom practice, and transforming schools by infusing the Habits of Mind into school culture. Renowned Stanford psychologist Carol Dweck has identified a critical component to succeeding in all aspects of life. From school to business, relationships to sports, the Growth Mindset is a common factor in the outlook of practically all high achievers. 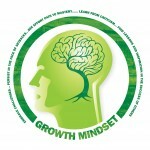 James was fully certified as a Growth Mindset trainer by Mindset Works for over two years. He was the first, independent consultant in Australia to receive this certification. (see more). James shows you how subtle but important changes to pedagogy, assessment and your classroom language can have far-reaching effects on student outcomes. James shows you how to think like a Growth Mindset teacher and gives you the tools to develop growth mindsets in your students. It takes time and commitment to succeed. I believe in building relationships with every school. Working with James over the last six years has allowed us to grow our understanding of the Habits and how they support student learning across all areas of our school. Thank you James for always supporting us and for being there in every way that you can. It's greatly appreciated. We couldn't have done it without you. James Anderson presented a workshop on Habits of Mind for our entire academic staff of 90 teachers. An aspect that was truly appreciated by the staff was the practical wisdom he imparted – clearly gained from hands-on classroom experience. The unsolicited feedback we received from the staff was extremely positive and we have little doubt that he will have persuaded everyone to reflect carefully on their teaching. There is nothing more satisfying than having staff return from having completed professional developing simply raving over it. Our staff have always come back from James' training very keen to implement his great ideas. They all comment on his excellent teaching/training approach and they have come back armed with some great resources. I have no doubt that the attendance at James's training has led to high quality understanding of Habits of Mind. Energise your audience with a keynote that challenges them to think differently about Mindsets. Book James Anderson for your next event. Click here to find out more about booking James to speak.